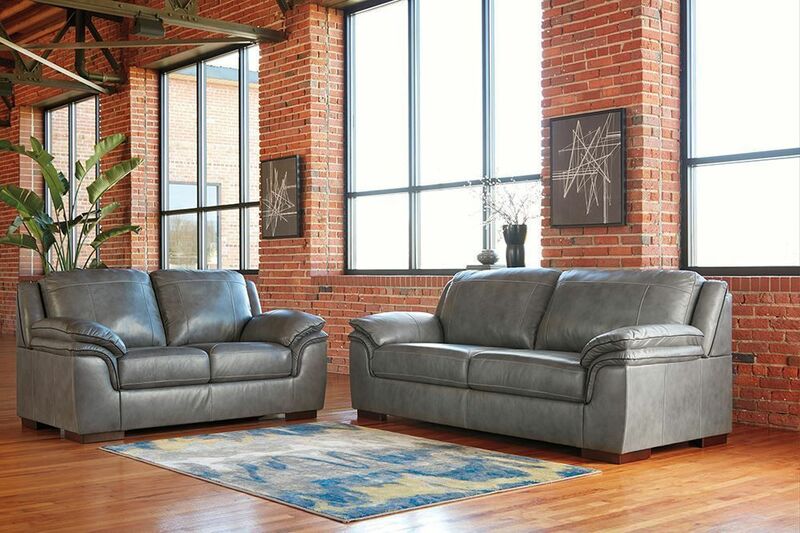 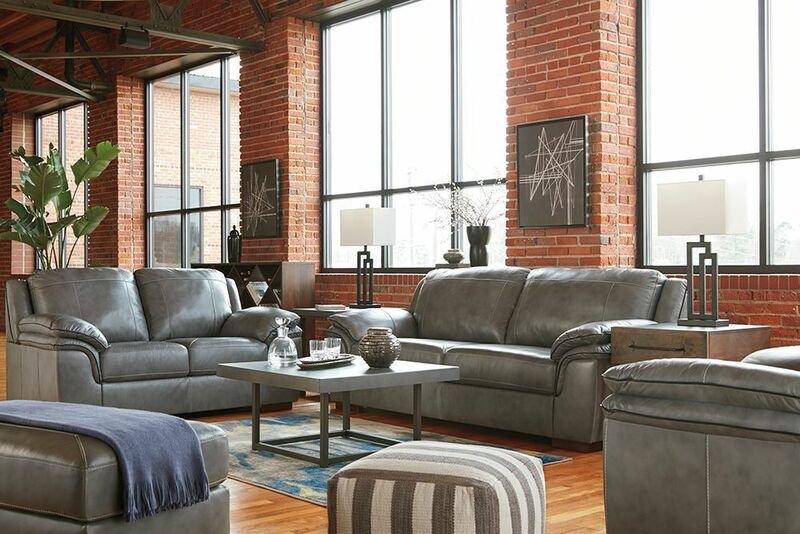 At a price that's sure to entice, the Islebrook Iron Sofa offers feel-good luxury and crisp, contemporary styling. 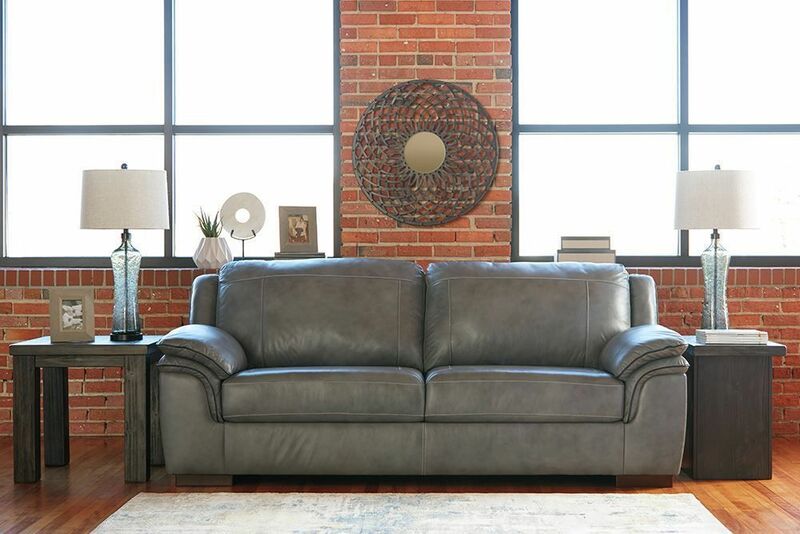 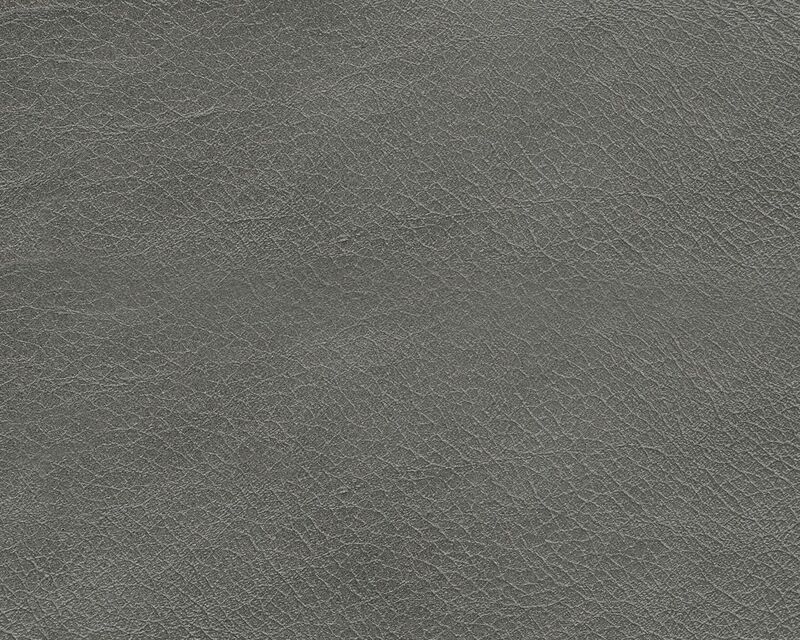 The seating area is covered in a supple, multi-tonal leather, offering up a warm, rich aesthetic to beautifully complete your living space. 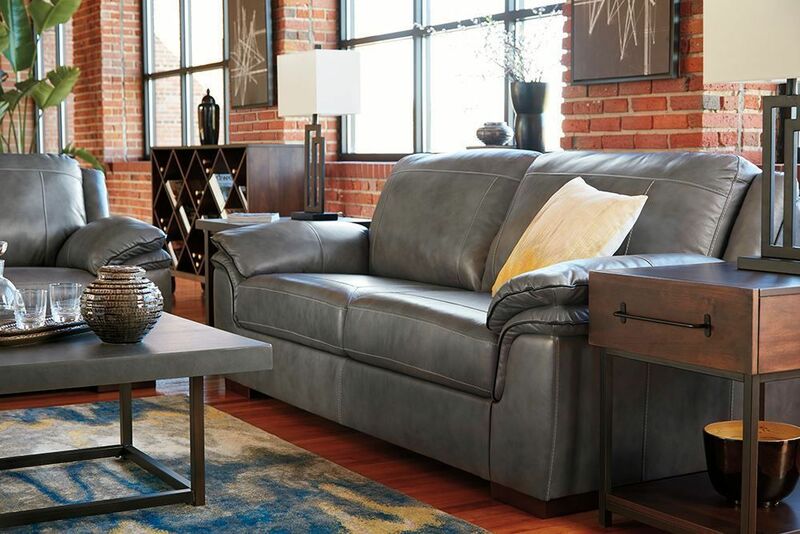 Wrapped in thick poly fiber, the high-resiliency foam cushions offer a truly ideal place to sip your morning coffee or relax with your favorite show. 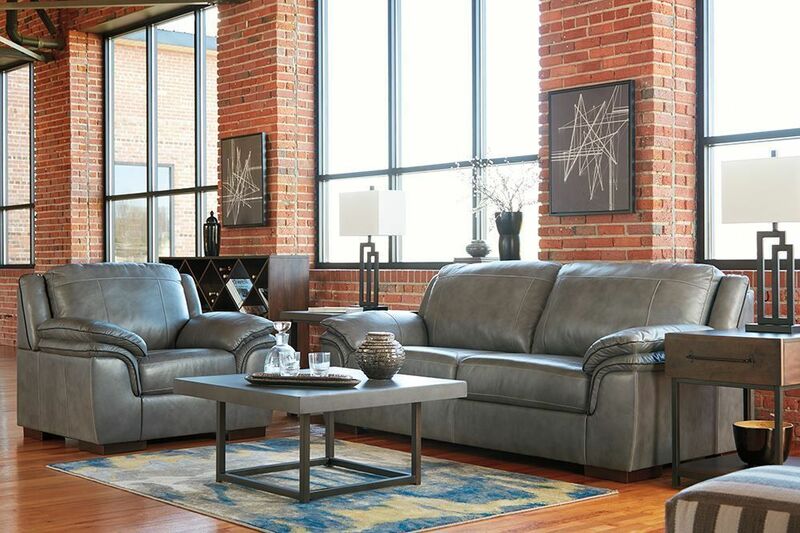 At a price that's sure to entice, the Islebrook Iron Sofa offers feel-good luxury and crisp, contemporary styling.